Home » Heartwarming Gesture: MS Dhoni makes the day of an elderly fan. Mahendra Singh Dhoni is one of the most followed cricketers in the world and everyone is well aware of his love for the IPL franchise Chennai Super Kings. 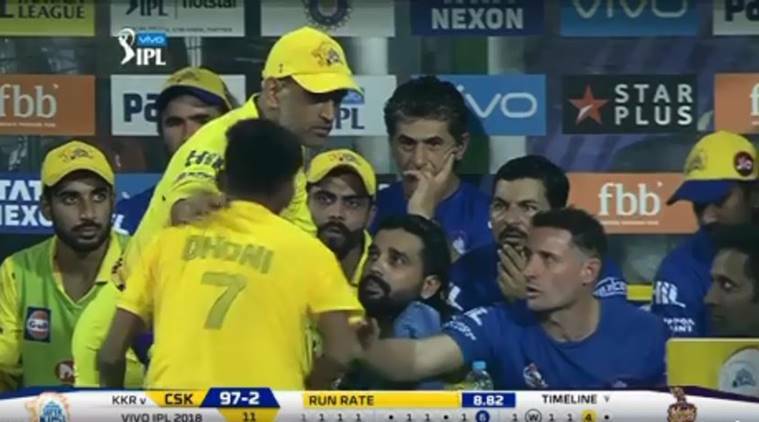 The 37-year-old proved once again that his aura continues to grow with a heart-warming gesture for a special Dhoni fan. The CSK skipper’s fans are not only limited youngsters but also spread over all age groups and one such fan was at the Wankhede for the clash between CSK and MI. After the conclusion of the match, Dhoni met an elderly woman and he met her with humility and immense love. Dhoni’s gesture took social media by storm as he took a selfie with the fan and gave her an autographed CSK jersey. This is not the only time when Dhoni was good with his fans, especially elderly ones. Earlier, when he was touring to Australia with team India he met with an 87-year-old fan, Edith Kochanek who is a great admirer of him.